Career defining performance from Ryan Reynolds, who makes even the film’s lesser moments work relatively well. Director Tim Miller manages to reel up such a wildcard character and deliver a coherent film that’s still fun. The story is predictable in content, as is a villain that has little motivation for being evil. Certain movies have an X factor even before they’re released to the general public. The buzz, the hype, whatever one calls it, it’s an organic rarity in show business, and it usually means good things for whomever is on the receiving end. Such was the case with Deadpool, a raunchy comic book project that went through a decade of pre-production purgatory before tripping up in X-Men Origins: Wolverine (2009). The spinoff picture retextured ex-mercenary Wade Wilson (Ryan Reynolds) as a sewn-mouth monster with pale skin and Frankenstein scars, far removed from the source material sarcasm that fans were anticipating. Tepid critical response shelved a solo movie indefinitely, until Reynolds’ demo footage leaked online in 2014, causing a media uproar in the process. 20th Century Fox relinquished, and the world was finally gifted their shining red superhero. Or, perhaps more tellingly, shining red anti-hero. Wilson, A.K.A. Deadpool, isn’t exactly the upstanding good guy his X-Men compatriots are, and instead delights in the less-than-praiseworthy elements of mutation. Chopping guys up, taking revenge, and taunting his villainous counterparts, the former cancer victim takes his black sheep mantle with glee, while regularly addressing the audience as to why. 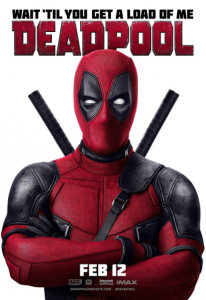 Breaking the fourth wall isn’t anything new by cinematic standards, but director Tim Miller makes this gimmicky approach feel fresh, adapting Deadpool’s unique talents to the big screen with ease. All the while, Reynolds’ breezy charm and lighting rod wit propel the role, a perfect marriage of actor and character becoming one. Tellingly, a sly nod to the performer’s “sexiest man alive” status is clowned in the opening credits, a sequence which delights in skewering both Hollywood norms and the self-seriousness of similar content. Miller’s nimble mood keeps things light for the duration of Deadpool’s runtime, which otherwise finds itself playing it safe. The plot, detailing an origin story of violence (the wild highway chase), generic villains (Ed Skrein’s Ajax), and redemption (an adorable romance), is not dissimilar to any number of superhero flicks in the past ten years; right down to the training montage and early suit complications. Stripped of its satirical edge, the film is a generic pile-up of genre norms. Fortunately, the film has satire to spare, and the resulting final product keeps it high on the pedestal of fresh-faced fun. In this regard, Deadpool perfectly captures the spirit of the comic books: a hero who mocks the straight-laced dudes while still following in their lead. Granted, it’s a case of having one’s cake and eating it too, but the frosting atop is so darn addictive that it warrants an exception. 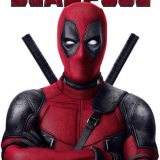 Pounding against an R-Rated ceiling of rancid humor and explosive action, Deadpool actually lived up the X-factor hype, and has already begun to shift the tides of influence in the industry. Now, fellow anti-superheroes have sought adult-based content, whether it be in-house material like Wolverine 3 (2017) or rival studio DC with this winter’s Suicide Squad. Whatever the results, Deadpool has now become the pop culture phenomenon we all secretly hoped he would.